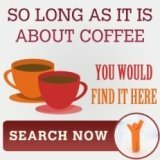 Why a Portable Espresso Maker is good? 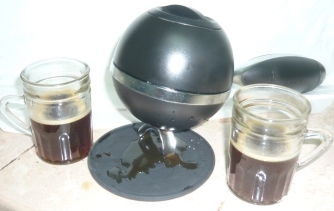 Portable espresso maker are for espresso connoisseur and devotee of latte or cappuccino. Why? Once you taste the best, you only go for the best, so, folks that loves espresso, need their espresso. And if you are traveling, can you do without your java? 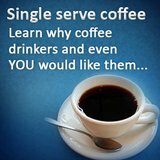 You may be purchasing an espresso machine. But the question is what model of espresso machine fits you and your lifestyle? Almost all espresso makers are capable of producing café-quality espresso, cappuccino and latte. Of course, the price, maintenance and convenient of use varies. 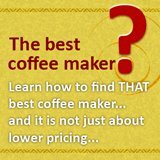 So, what is then an espresso maker that has a good price and at the same time boast of some comprehensive features? It depends, in this article we are talking about traveling and mobility. For that requirement, a portable espresso maker fits the bill nicely. They are very easy to use since it never requires dosing, tamping or grinding. Not only that, a portable espresso maker has an economical price tier and can really create and produce perfect shot of espresso. There are two types of portable espresso makers that don’t require the use of electricity and other hassle procedures in espresso making (without the need of electricity, is what we consider real mobility). The first is the stovetop espresso maker that has already proven itself as a espresso brewer with its huge following. When we are speaking of stovetop espresso maker, the name that always comes into our mind is the Bialetti Moka Express. This stovetop espresso maker creates three espresso cups of coffee in just four minutes and is very simple to use. When creating espresso in stovetop, all you need to do is fill the lower chamber with right amount of water and on the top filter put in the fine coffee ground. After that, place the pot on the stove, heat it up until the water boils. By means of a pressurizing process, espresso moves up to the upper chamber and it is now ready to serve. 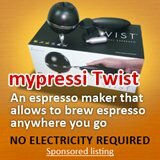 If you are the type of person who always want to bring with you a portable espresso maker, then Mypressi Twist is the perfect espresso maker for you. Stove top is too big to carry around, but mypressi can fit into even your hand carry bag. The Mypressi Twist works by means of ESE pods or ground coffee and requires no priming, compressing or pumping to create one great shot after another. Aside from that, Mypressi requires no external power because it makes use of the standard eco-friendly 8gm N2O cartridges. This means that creating a perfect espresso can take place anywhere. For Singapore readers, we have worked with the distributor to bring this portable espresso to you. Limited sets, so reserved your equipment and once allocated, then make your decision on purchasing it.